Choose from a wide variety of new luxury condos as Rocky Point Mexico expands its horizon with a master planned development. 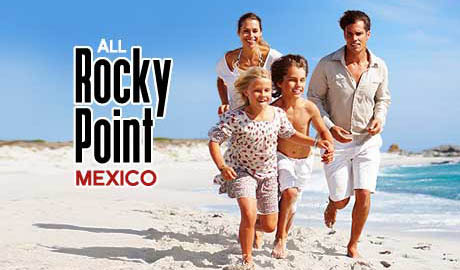 Rocky Point Resorts offers accommodations with amenities, activities and scenic views ready for you to enjoy. Make plans and reservations soon to visit this quaint vacation paradise. There are many choices for accommodations in Rocky Point. If you come often, it may be worth looking into owning a condo here. Many of these condos are for sale or available for rental on a short-term basis. Blvd. Dr. Ernesto Guevara del Campo s/n, 83550 Puerto Peñasco, Son., Mexico. These Casa Blanca Golf Villas offer the perfect way to experience golf in Rocky Point, Mexico. Stay and play the golf course and fine tune your putting stroke on the practice greens just outside your condo door. Amenities include two pools and a Jacuzzi. Camino a la Choya 101, Choya Bay, 83554 Puerto Peñasco, Son., Mexico. Located at the far west end of the Sandy Beach development area, Esmeralda Luxury Resort Condos are available for purchase. Great views, plenty of amenities and the beach at your front door make this a strong option to consider if you are looking to buy in Rocky Point. Avenida Melissa Cristina 2, Bella Vista, 83550 Puerto Peñasco, Son, Mexico. Only a few steps from the beach on the Sea of Cortez, and centrally located near all activities in Rocky Point, Las Gaviotas Resort is an inexpensive way to vacation here. 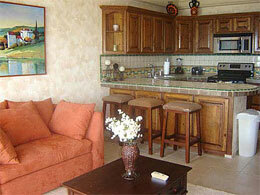 All condos in Gaviotas Rocky Point have two bedrooms, many with an ocean view and a patio. Calle Mariano Matamoros, Benito Juárez, Cerro la Ballena, 83554 Puerto Peñasco, Son, Mexico. This "Palace On The Sea" includes sixty condominiums make up this complex which is on Playa Mirador. Phase one is complete with units economically priced. Palace on The Sea Condos include a negative-edge pool overlooking the Sea of Cortez and makes a great place to relax in the Rocky Point sun. Paseo la Riviera, Playa, Norte, Nueva Puerto Penasco, Sonora Mexico. The complex consists of six buildings plus outdoor pools, spas and courtyards. The units are luxurious, modern condos and villas with excellent amenities. This is a vacation paradise on the beach, east of Playa Encanto, with a focus on family fun. Camino Costero 600, Ferrocarril Playas, 83550 Puerto Peñasco, Son., Mexico. There are 136 different condos to choose from with up to four bedrooms, all offering a fantastic view of the Sea of Cortez. One of the newest condo resorts along Sandy Beach, Sonoran Sky Resort is unique with a great swim-up bar, outdoor movie theater, three pools, two jacuzzis, and all the comforts of resort living in Rocky Point. One of the premier places to stay in Las Conchas, this beautiful, 5-star beachfront condo project offers the best that Rocky Point has to offer. 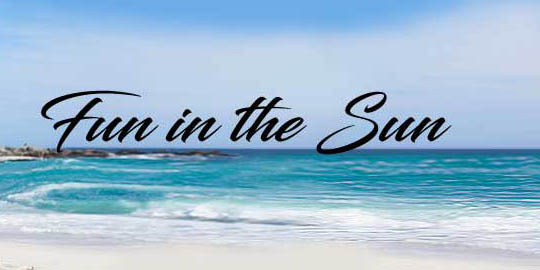 Rent or purchase a condo at Tessoro At Las Conchas and come enjoy this paradise in the sun.